Even though our days are only just starting to creep into longer and my toes are permanently frozen, I haven’t forgotten our last blistering, burning summer. I listen to the reports coming out of the Victorian Bushfires Royal Commission, and have very mixed feelings over shout-it-out, run-all-about fun at the beach and the disastrous potential in the bush. For now, there’s a sense of quiet in our poor old neglected garden. The trees strike a silhouette pose, stark against pale skies. 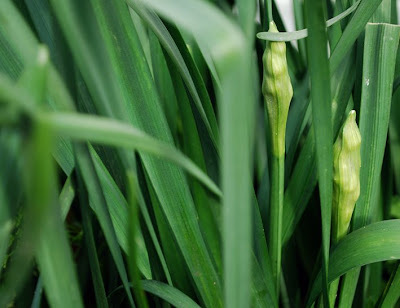 On the ground, there is lush green cool as random wild jonquils bulge to popping point. Even with all the wintry hibernation, we have more splashes of colour in our garden now than we do in a stressed, shrill, water-deprived summer. We bucket bath water over Winter Roses all through the warmer months but now is the time to reap the reward and bring some of the outside in, with exuberant vases of my favourite, slightly prickly, loveliness. The winter has bought lushness and greenery to my part of the world too, where only a few months ago it was dry and crunchy underfoot. I love the jonquils (words and pictures). Gorgeous photos. I was just thinking the same thing this morning. I don't think I have complained about the cold once this year with the blackened trees outside the kitchen window serving as a constant reminder of last Summer. It'll be interesting to see what changes will be made before next fire season. A gorgeous splash of green and what stunning weather Melbourne has been putting on! Move in to our abode tomorrow, what a full-on week it's been! These photo's are simply stunning. Beautiful!! They are beautiful photos... funny, I was just thinking the same thing myself today. Not that we've had the same troubles in Brissie but we haven't seen green for a few years and suddenly it's raining all the time. Your photographs are breath taking. 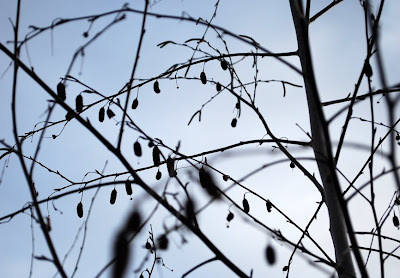 Once the shortest day is over , there's always something new to discover , the nicest part of gardening is the morning wander to hunt to see what's waking up . 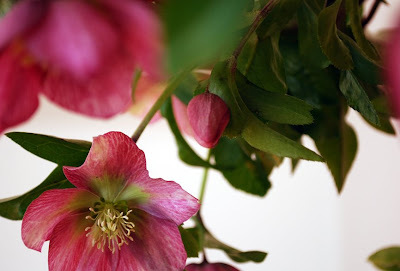 Your hellebores are beautiful ! Y'all get some gorgeous winter color. I'm envious over here. Our scorching summers also deter bright and beautiful flowers. What lovely blooms. Those jonquils are sure to be sweet. We have a garden bed just full of dirt at the moment. Very low maintenance in each season... we hope to plant it out over the next month or so. I hope to get some pretty flowers to bring inside one day. Beautiful winter photos Tania, especially the first one! beautiful photos tania. it's lovely seeing all the green. my favourite time of the year. Beautiful photos and beautiful thoughts. Enjoy your colour. Lisa. it is not fair..... gardens in australia in winter are looking so springlike. a Dutch winter garden....... mark my words and come back on my blog in 6 months to see what we make of it in winter.